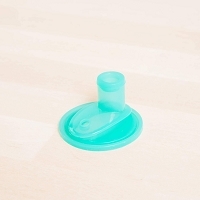 A single moveable bead is fitted on each of 5 dowels in our colorful Mini Bead Rattle. 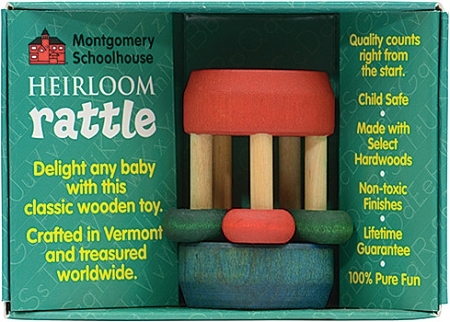 This heirloom baby rattle has all hardwood construction and child safe finishes. Designed to provide stimulation in touch, sight, sound, and movement, the Mini Bead Rattle measures approximately 3-1/2" long by 1-1/2" diameter and comes in an attractive gift box.